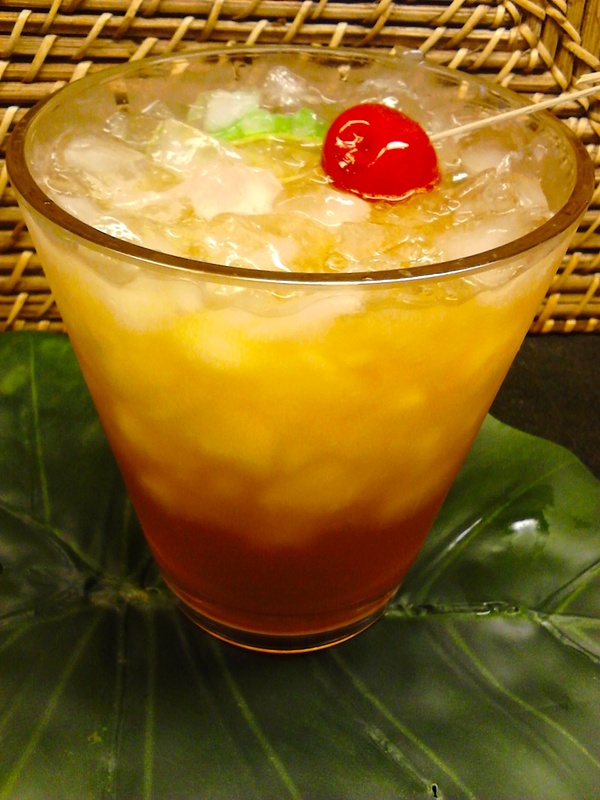 You’d be hard pressed to find a more soothing and delicious way to wind down on island time than enjoying a Mai Tai. Tahitian for good, a “Maita’i” will help your fantasies of paradise come true. Fellow travel enthusiast and Chicago native Kendra Thornton is a guest blogger today offering an easy-to-replicate Mai Tai recipe from her stay in Hawaii. Enjoy! During these winter months in Chicago, it is hard to not time of a time when I was relaxing on a beach and soaking up the sun in the warm weather with my husband. Waikiki turned out to be one of my favorite places to travel on my hefty list, and getting the opportunity to stay in a gorgeous luxury hotel in Honolulu was one of the high points of my existence. I can’t help but reminisce about Hawaii and the beautiful setting there was in Waikiki, aside from the picturesque scenery the people were so pleasant and friendly. Whenever I’m feeling nostalgic for my favorite place, I whip up this tropical beverage to help me recall some of the flavors of paradise. During my stay, I learned how to make a specialty Halekulani Mai Tai – a twist on the classic cocktail. I still make these for my friends during our tropical themed get-togethers, or simply when I’m in the mood for a weekend tropical treat. Here’s what you need to know to make your own Halekulani cocktail. Pour the ingredients over the crushed ice and float with ¾ ounce of Bacardi Select Rum. For an extra tropical twist, garnish each glass with a lime wheel, sugar cane stick, mint sprig and Vanda orchid. Whenever I serve these at my DIY cocktail parties, guests swoon – even those who don’t normally enjoy the subtleties of rum. This is a cocktail for everyone can enjoy because they are a tropical treat from the Islands. I hope you enjoy this just as much as my husband and I do! About the author: Former Orbitz Director of Communications and proud mama of 3, Kendra Thornton has visited 28 countries and is a featured expert in family, luxury and adventure travel for FOX News, ABC, CBS, NBC, and CW networks. You can follow her on twitter @KendraThornton. in your blog. Is this a paid topic or did you modify it yourself? Anyway stay up the excellent quality writing, it’s rare to look a nice blog like this one today..
of reading this webpage’s post to be updated regularly. It includes fastidious stuff. enjoyed reading it, you are a great author. I will ensure that I bookmark your blog and will often come back someday.